The Roy Proctor Lifetime Achievement Award is presented to an Optimist or Optimists for lifetime service to the Pacific Northwest District. This award recognizes individuals who have given outstanding and ongoing service to the District. It is not intended for the hundreds of outstanding Optimists who serve their clubs and communities but do not participate at the district level. The award is intended to honor a living individual, or individuals, rather than to be a memorial award. Having provided inspiration and motivation to fellow Optimists. Nominations for the Roy Proctor Award are now open. All nominations must be received by May 1, 2012. Send written nominations describing how the nominee meets the foregoing criteria to Annette Smith at coquitlamoptimists@gmail.com on or before May 1. 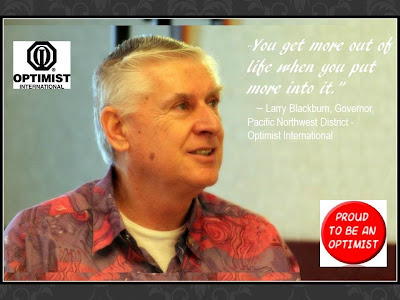 Being an Optimist Club member allows you to stay connected to your community, but as Larry discovered, you have to work at it. He explained that he had been a member of the Caldwell Optimist Club for 30 years, but many of those years he was inactive because he was working in Boise – 20 minutes away. As he became semi-retired, the opportunity to reacquaint himself with his Optimist Club appeared and he became its club president, for the second time. This time, he decided to learn more. He went to district meetings, helped start a new Optimist Club, and was named Optimist of the Year by the PNW District for his unwavering enthusiasm. He also attended his first Optimist International Convention and was bitten by the leadership bug. Larry, an energetic cheerleader, would be the first to say that leadership is not about being in charge. It is about helping others do more. Optimist Club members do amazing things in their communities. Sometimes the projects are recognized in the press, but most often they are not. 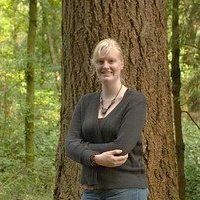 This extra push on “Why I’m Proud to Be an Optimist” will be shared on Facebook and other social media channels including the PNW District blog. We hope that you will join us in sharing your picture, and your one or two-line reason for belonging to the most inspirational service club in the world. And today, for our first "Proud to be an Optimist Day," we ask that you change your profile picture on Facebook for one day. Show your pride. Thank you. Click here to download the "Proud to be an Optimist" badge. Governor Larry and Flo Blackburn are in British Columbia to experience the tournament first hand. We'll ask them to share a story on their return. 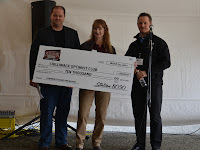 The Optimist Club of Salem, Oregon has once again teamed up with Country Financial and the City of Salem Public Works Department to coordinate the 39th Annual Country Kids Relays. 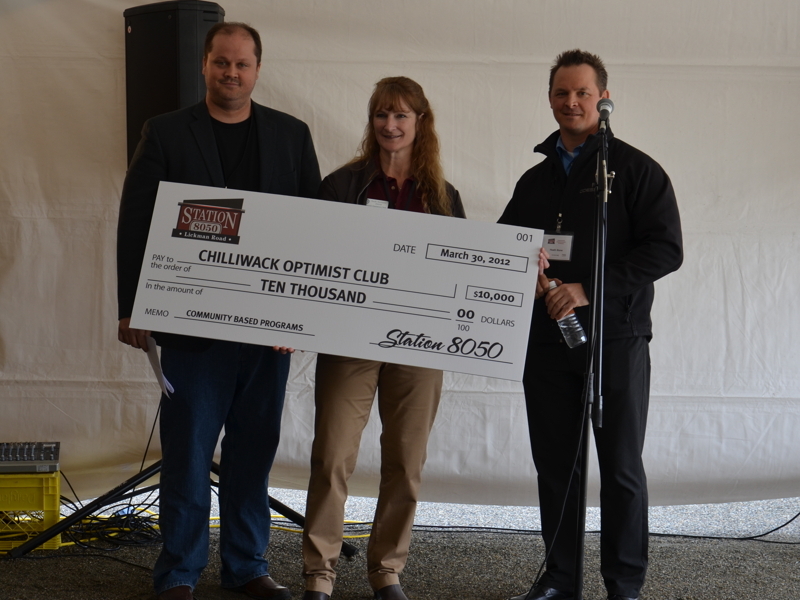 The event will take place on May 18, 2013 at Willamette University, McCulloch Stadium. The track event is a unique competition open to students in 1st through 5th grades. All races are 4x100 meter relays except for the main event of the day, the Mayor's Mile. 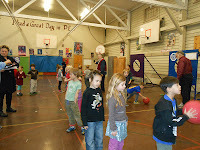 The entry deadline for schools was March 20; however, kids began preparing for the event on March 4. Through the event, children learn to compete individually, as a team, and as a community. They share positive values, enjoy friendly competition, and most important, they encourage others to take part. Country Financial came on as the presenting sponsor for the event only a few years ago. It brought new opportunities for students to participate, namely, the t-shirt design contest. 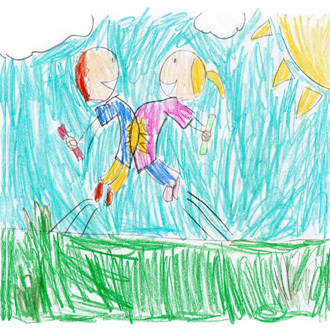 Open to the same age group, children have until April 5 to submit their design. In addition to shirts being made with the winner's design, his or her school will receive a $1,000 award and a pizza party for the student's class. The theme is "One team, one dream." Find out more at Country Financial. Finally, the sponsors are helping the South Salem High AVID class with a community service project to collect One Thousand Soles. It's their goal to collect 1,000 pairs of new or gently used tennis shoes that can be redistributed to those in need. What a great project! Great job, Salem Optimists and Country Financial! This just in... the Optimist Club of Chilliwack, BC is supporting the Harrison Paddle Club junior dragonboat team. 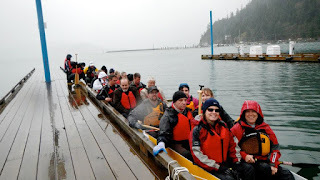 What is a dragonboat? Good question. According to the San Francisco International Dragon Boat Festival website, a dragonboat "is a boat of 20 paddlers, a drummer and a steers person." In the sport, the team paddles "to cross the finish faster than their competition." Dragonboats originated in the Pearl River Delta region of China's Guangdong Province and similar long boats have been used in competition since the original games of Olympia in ancient Greece. Many have ornamental dragon heads and tails when used in competition. As a team sport, it involves power, speed synchronization and endurance. Dare I say, it involves a little optimism as well to have 20 paddlers on that narrow boat! 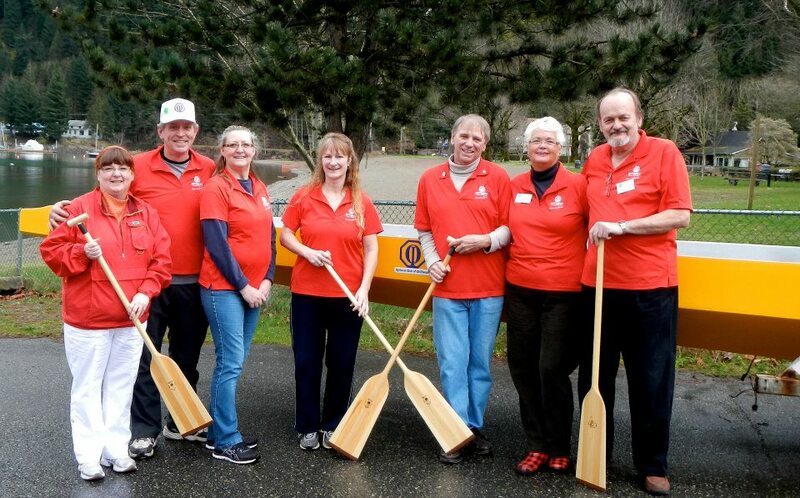 The Chilliwack Optimist Club will supply the paddles, t-shirts, and life jackets for the team. It is open for paddlers aged 14 to 18. 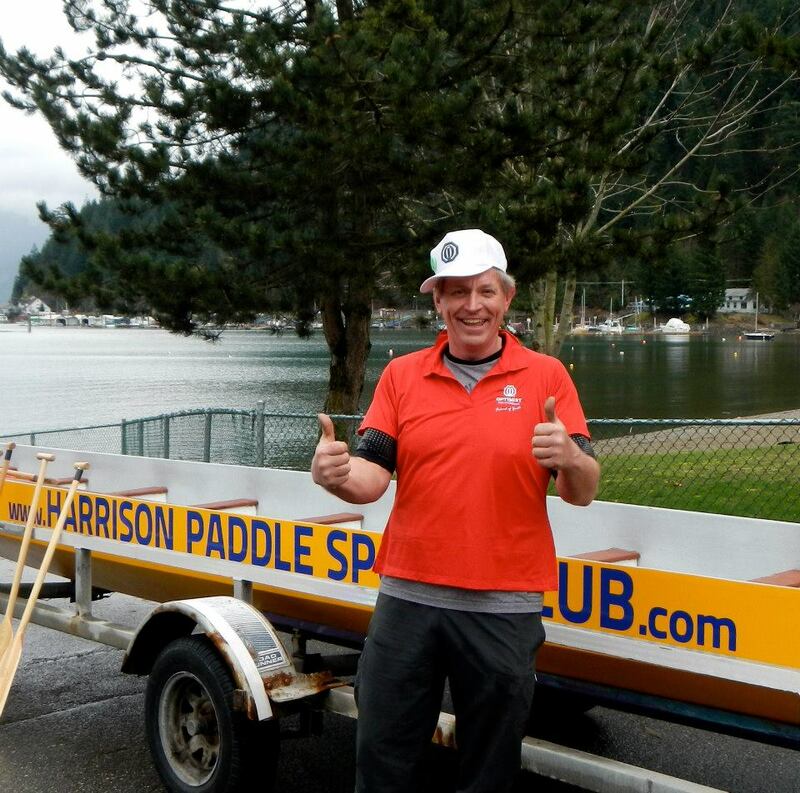 No experience is needed to join the team as the focus of the Harrison Paddle Club is health, fun and fitness. 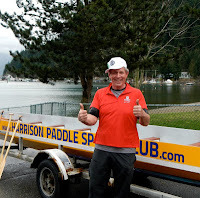 The Harrison Paddle Club and the Chilliwack Optimist Club will also be providing mentorship to teens through the program. Good job, Chilliwack! It's interesting to learn how Optimists bring old traditions to light. 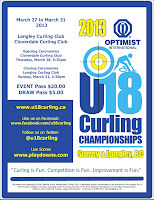 Pictures courtesy of the Optimist Club of Chilliwack on Facebook. It's that time of year when we start looking towards our summer adventures. For many Optimist Club members, their adventures would not be complete without a trip to the Optimist International Convention. The convention returns to its most customary dates this year, July 4-6, 2013. It will be held in Cincinnati, Ohio with most activities taking place in the Duke Energy Convention Center. 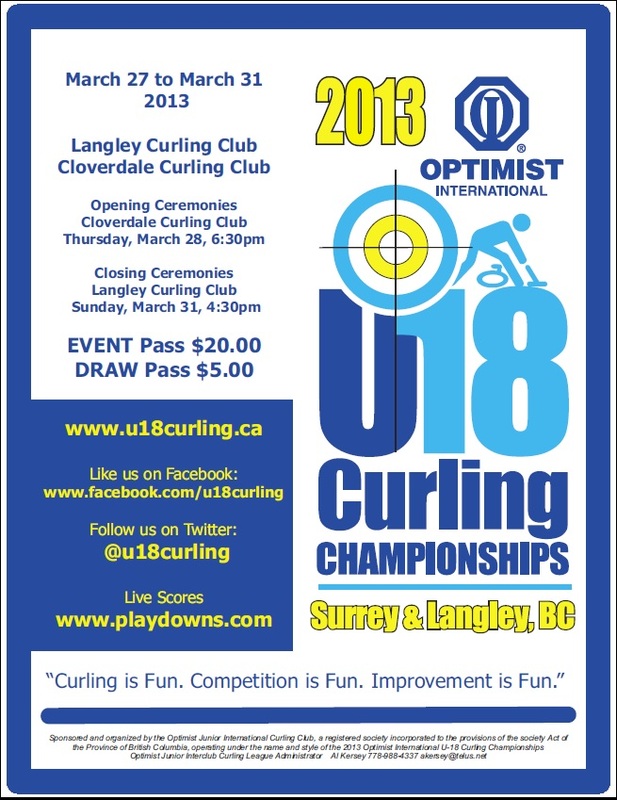 Online registration is open now on the Optimist International website. 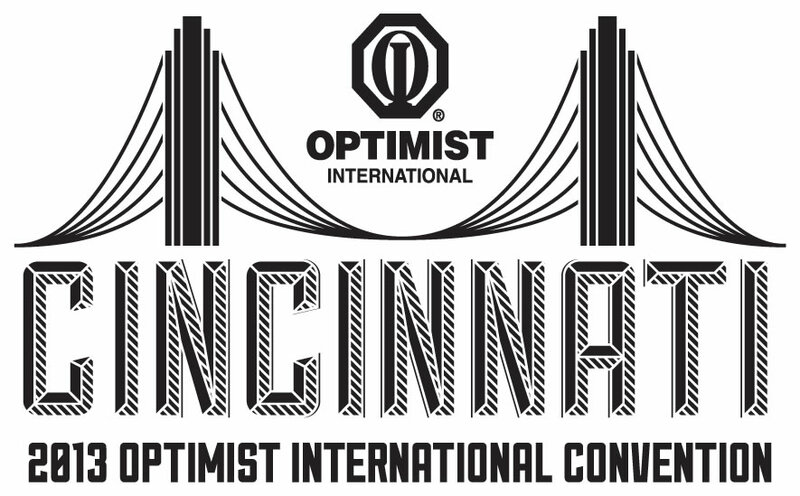 By clicking on the previous link, you will be directed to the Optimist International Convention page where you may learn about the activities, agenda and housing for the event. The convention provides opportunities for learning, fellowship, leadership and governance of the Optimist International organization. Club and district leaders and those elected to lead in the coming year receive special training designed especially for club presidents and secretary treasurers, and district chairpersons and lt. governors. It's a great opportunity to meet new and old friends and share stories about the community service that your Optimist Club provides, but the most important aspect of the convention is sometimes the one least touted. This is your opportunity to have a say in what Optimist International does in the future. Individuals represent their Optimist Club in making important decisions about the priorities of the organization through the bylaws amendments and resolution process. Optimist International hopes that you will join the organization this year in celebration of the 95th Annual Optimist International Convention. Fourteen hundred of your Optimist Club member friends hope you will too. Stay up-to-date with convention announcements on Facebook. Order a free Cincinnati visitor's guide here. Excitement, anxiety, anticipation - these are just some of the emotions you might feel when starting a new activity. 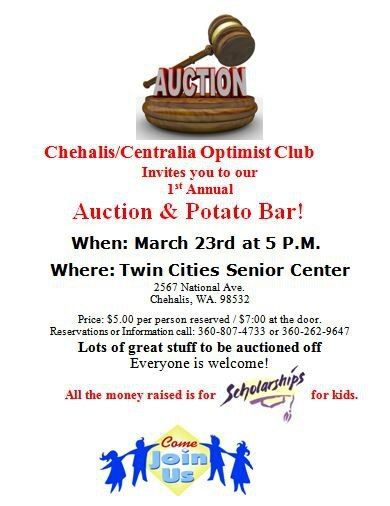 For the Chehalis-Centralia Optimist Club, these are all good emotions as they launch their First Annual Auction & Potato Bar. The event will be held on March 23, 2013, 5:00 p.m. at the Twin Cities Senior Center, Chehalis, Washington. Among some of the items to be auctioned are an antique Willcox & Gibbs sewing machine, football gear and memorabilia, tickets to area attractions and artwork. See pictures of some the items on Facebook. Money raised at the auction stays in the community to support scholarships, sporting events, and many other activities that the Optimist Club does for their community. As with all Optimist Club activities, there is a special emphasis on programs for youth. According to Emma Ball, the event will be lots of fun, with raffles, and door prizes as well as great fellowship with your friends. Don't miss out! To get your ticket, please call 360.807.4733 now. It's $5 in advance and $7 at the door. Click on the flyer to enlarge and share with your friends. 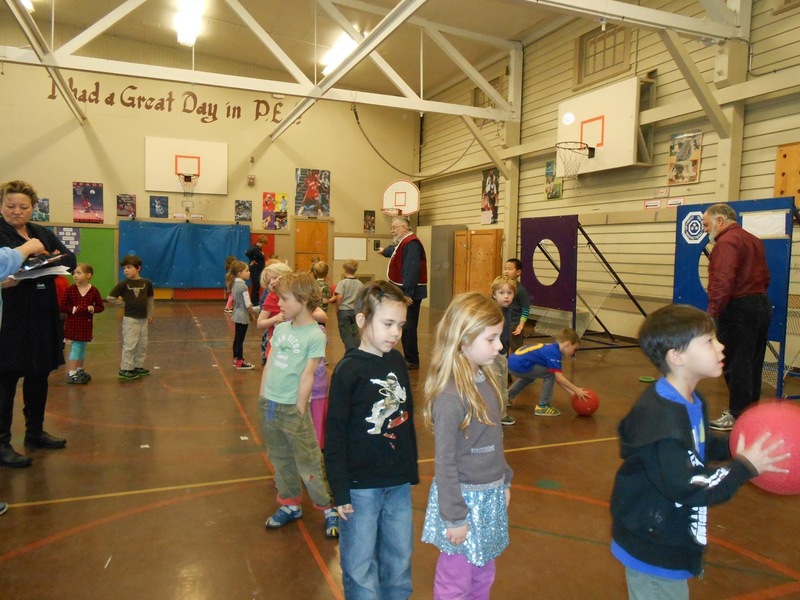 Earlier this week, the Gresham Optimist Club shared three days of Tri-Star Basketball with the Alameda Elementary School. There were 462 grade school students, grades 1 through 5; and 9 hearty, helpful, and now tired Optimist Club members. According to Judith Hillend (middle), the experience was wonderful. They worked with the kids on dribbling, passing and shooting and are looking forward to returning with enthusiasm next year. The Albany Optimist Club recognized 8 schools at the Youth Appreciation Awards on February 19, 2013. The students were chosen by their school based on leadership in academics, community service, church activities, and citizenship. The Albany Optimist club has held this event annually for more than 30 years. Additionally, awards for the Optimist International Essay Contest were given to Daniel Stoner, first place; Emily Henry, second place; Lydia Rose Parker, third place; and Amanda Kitchen, fourth place. See more information in an article from Karl Kuessel here. See pictures from the event in a Facebook album here. "Optimism is an incredible trait"
Does your Optimist Club promote the PGI program? Meant to familiarize new members with the purposes and activities of the Optimist International organization, the PGI (Personal Growth and Involvement) program has 10 levels that it encourages members to complete as they launch or refresh their Optimist Club journey. Each level asks the member to be involved by attending meetings, participating in club activities, helping their Optimist Club grow, and learning about Optimist International. Additionally, it offers opportunities for self development and improving communication skills. In the Hillsboro Optimist Club, Sarah Newton is working her way through the program. Sarah joined the Optimist Club October 17, 2012. She immediately became involved in the public relations and communications aspects of the club serving as their bulletin and blog editor. On February 19, 2013, she completed her first speech requirements for the PGI program when she made a presentation to her club about "How Optimism Can Make a Better World." According to Sarah, as optimists, we create a better world through our actions. Civic leaders need optimism so they may serve the needs of their communities. 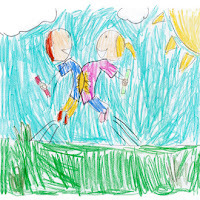 Teachers and medical professionals use optimism to take care of their students and patients. We each use optimism to care for our family and friends and the world around us. Yes, as Sarah says, "Optimism is an incredible trait." Please click here to read Sarah's speech. 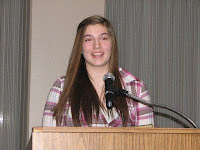 Please join me in welcoming Sarah to our family of PNW Optimist Clubs. We love your enthusiasm. Who said that being governor of an Optimist International district was all work and no play? First Lady Flo Blackburn yelled bingo and was awarded cash! On Saturday, March 2, 2013, Governor Larry Blackburn and first lady Flo proved that wasn't the case when they joined the Middleton Area Optimist Club for "Lucky Leprechaun Bingo." Held once a month during the school year, bingo is the major fundraiser for the Middleton Area Optimist Club. It features a different theme every month and many dress up for the occasion. The money raised at bingo helps fund Free Movies in the Park, held in the summer months. The club has also been exploring additional projects for their community and purchasing a building is high on its list of priorities. According to member Stacy Nelson, a building would help the club do even more. 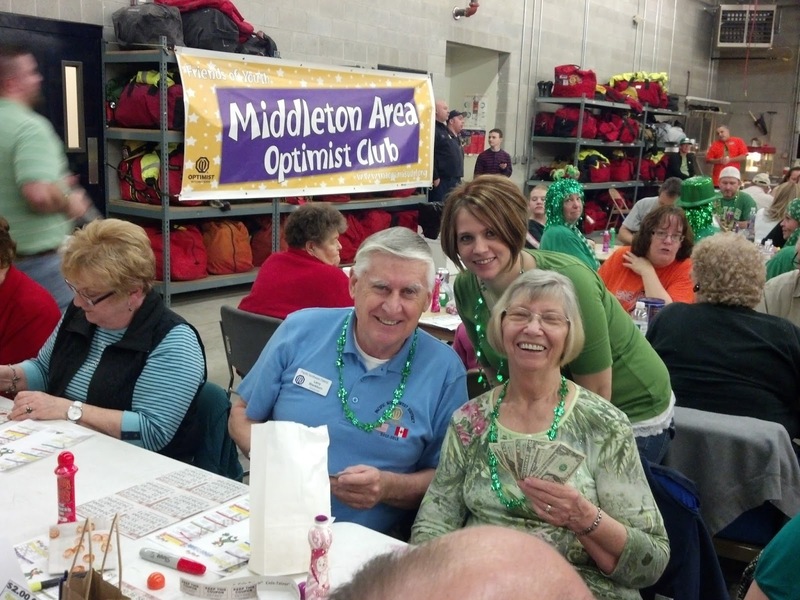 The Optimist Club has found great partners in the Middleton Parks and Recreation District and Middleton Rural Fire District. All are engaged in making the community a better place to live and they have formed friendships in service. Following their parents' lead, some kids of Optimist Club members have come together to form a Junior Optimist Club. We promise, you'll hear more from them in a future post. And we know, the Middleton community will continue to hear more from their Optimist Club. 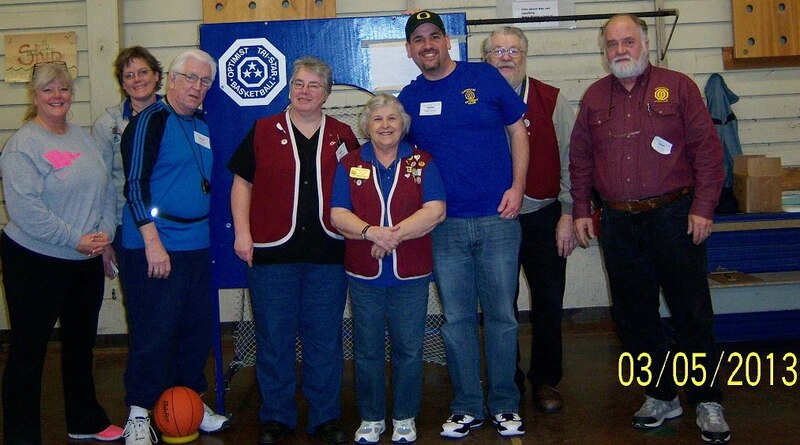 Click here to keep up with the Middleton Area Optimist Club on Facebook. For the second year, the Optimist Club of Twin Falls, Idaho has made a sizable donation to the O'Leary School Track Fund. Using money raised from the Wings & Things Ultimate Tailgate Challenge, the club was able to donate $15,000 in 2013 and $20,000 in 2012. The Wings & Things Ultimate Tailgate Challenge is an Optimist Club coordinated chili and wings cook-off that takes place in the fall. The FUNdraiser is the brainchild of Keyleigh and Dustin Godfrey who have infused fun into the club and fund raising activities. 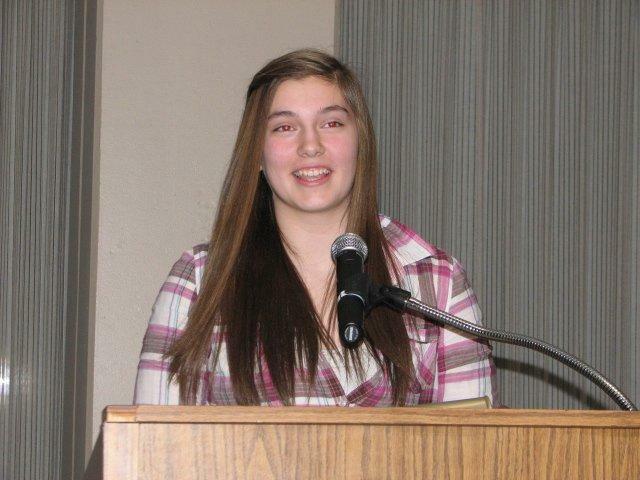 Keyleigh, a past president of the Twin Falls Optimist Club, is also serving as lt. governor for Zone 9 in Idaho. Follow the Twin Falls Optimist Club on Facebook by clicking here. One of the most popular membership recruitment tools used to attract young people to your Optimist Club has returned. 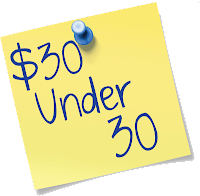 In an email yesterday, Optimist International President J.C. St.-Onge announced that the 30 under 30 Program was now in effect. Beginning February 25 and running through September 30, 2013, every member that your club adds who is 30 years of age or less will be assessed only $30 for dues. Optimist International strongly recommends that all Club and District dues and fees from February 25 - September 30 are also waived. '30/30' Members $15 processing fee will be waived. A one-time fee of $30 (CAD$30) is due along with the completed application. Write '30/30' on the traditional hardcopy application or Club officers may click the designated check box on optimistleaders.org for online '30/30' roster additions. These members will be listed separately on your club invoices from Optimist International - quarterly charge displayed as $0.00, until the quarter following their join date anniversary. Then they will be listed in your traditional numbers. '30/30' Members count toward membership numbers. For New Clubs, write '30/30' for any Charter Member that qualifies. The discount will not be effective until their first Quarterly dues billing. Charter fee is separate. Questions? Please contact Member Services at membership@optimist.org or call (800) 500-8130. Prospective young adult members will appreciate this opportunity to give back to their community without making a huge financial commitment. Now it's up to you to tell them about it. Happy recruiting!